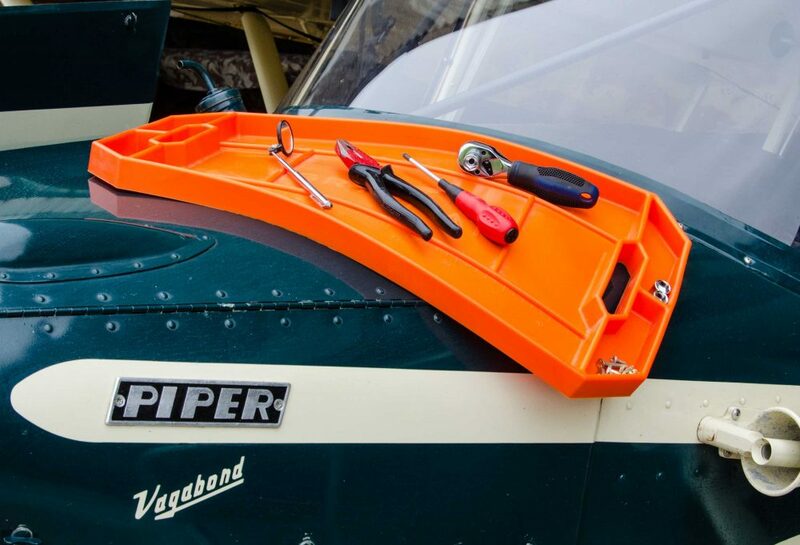 Where do you put your tools when you’re working on your aircraft in the hangar? It’s great to be able to take them right to the job, else you’re forever wandering back and forth to the toolbox. 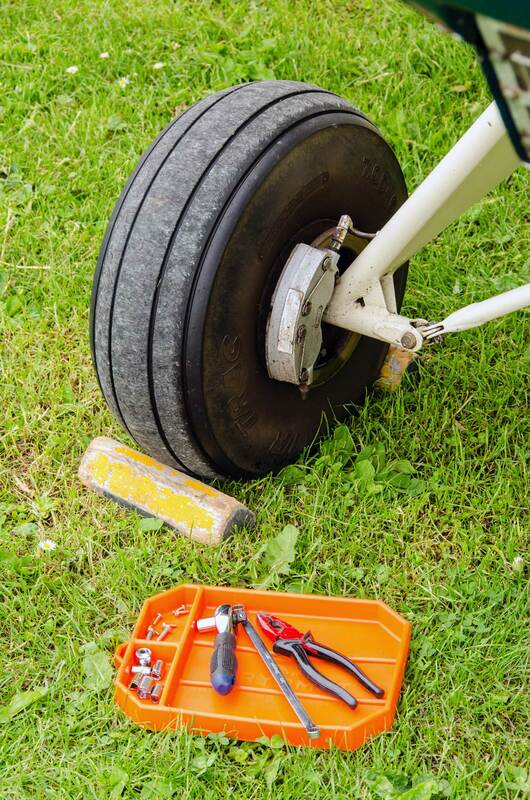 You can risk putting them down on some part of the aircraft that’s near to the task, but there’s always the danger of marking or damaging surfaces. 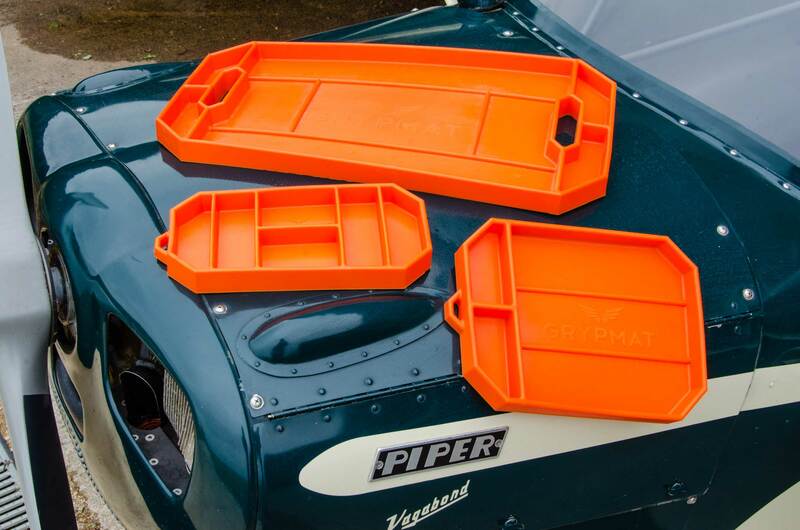 Plus, unless you own a Zenair 701, there’s never usually anywhere flat enough to prevent tools from sliding away. 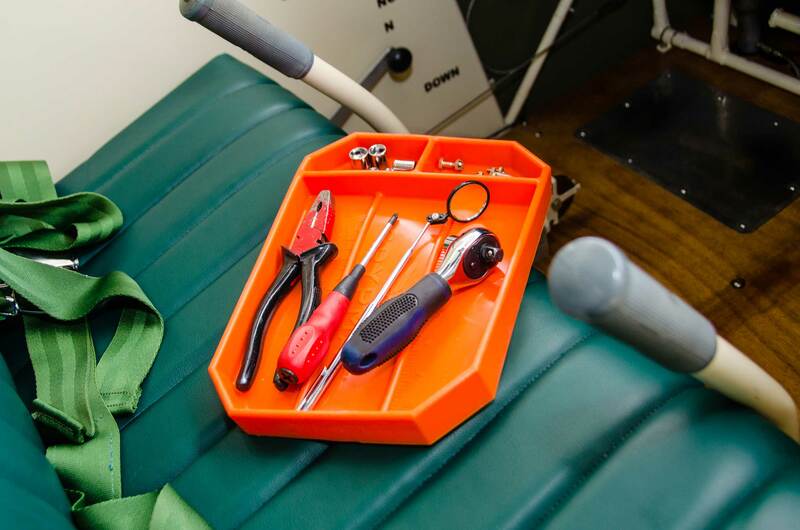 The mats are made from a flexible polymer-silicone rubber which doesn’t scratch paint and holds onto surfaces at up to a 70º angle, while keeping tools and hardware firmly in place. We twisted, rolled, stretched and pulled ours with no signs of distress, and if they get dusty or grubby, just throw them under the tap and wash with soap and water. 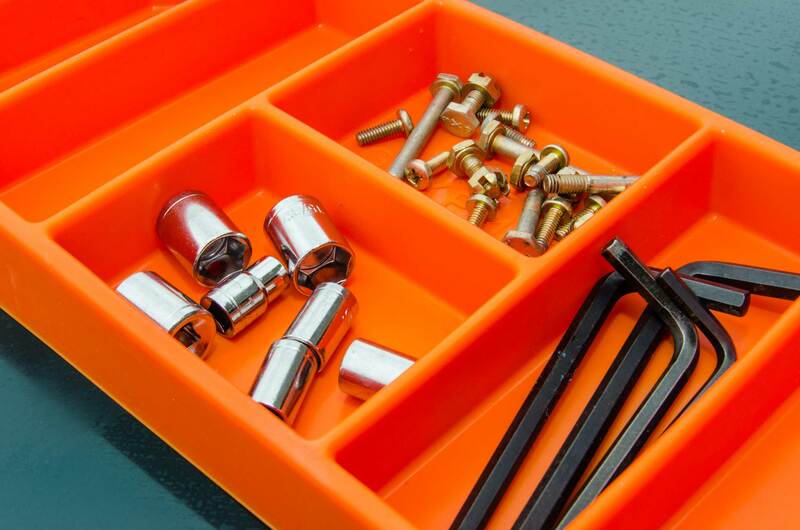 They come in three sizes, from 15 x 30cm to up to 56 x 30cm, and aren’t cheap but then good tools never usually are. Alternative solutions, such as an old towel or random piece of cardboard might get you by, but they don’t look too professional. If there’s one obvious benefit, it’s that Grypmat helps keep tools and hardware accessible, secure and as visible as possible. In a world where a lost tool can have serious consequences, I’ll happily spend a few extra quid for that alone.